In 2009, China became Brazil’s leading trade partner supplanting the United States. In September 2017, Brazilian President Michel Temer was present in Xiamen for the IX BRICS summit themed “BRICS: Stronger Partnership for a Brighter Future.” Whilst there, Temer took the opportunity to officially visit Xi Jinping, President of Brazil’s largest commercial ally, to discuss mutual investment opportunities. Besides the multiparty agreements reached during the summit – such as the 2017-2020 Action Plan for Agricultural Cooper­ation – Mr. Temer and Mr. Jinping signed another 14 bilateral agreements. Together, these agreements outline a mas­sive and much-needed investment pack­age for the still struggling Brazilian econ­omy. Deals reached during the state visit include the licensing of phase two of the Belo Monte hydroelectric power plant, the memorandum of understanding between Eletrobras and China National Nuclear Corporation for the construction of An­gra III, the Intentions Protocol between Itaipu and China Three Gorges as well as a strategic cooperation agreement between Petrobras and China Development Bank. China has shown a ravenous appetite for the Brazilian market since the 2000s and, in 2009, became Brazil’s leading trade partner, supplanting the United States. According to the Brazilian Ministry of Industry, Foreign Trade and Services, in 2017, Brazil earned $47 billion from ex­ports to China (21.8% of total exports), an annual milestone in the decade, and imported $27 million from it (18.1% of total imports), making China the leader both for Brazilian imports and exports. Brazil’s exports, however, remain focused on commodities, especially soy (46%), oil (21%) and iron ore (17%), despite the Brazilian government’s recent plea for Chi­na to diversify its trade portfolio. Chinese investments in the Brazilian in­frastructure sector, on the other hand, have become more diversified. In 2010, investments skyrocketed to reach a record $35 billion in announced projects and a total $13 billion in confirmed projects, in stark contrast to the $564 million and $549 million in both announced and con­firmed projects of the 2007-2009 period. Since 2010, Chinese investors have been pouring money into Brazil, especially via mergers and acquisitions. For example, in 2016 Hunan Dakang Pasture Farming, controlled by Shanghai Pengxin Group, became the controlling shareholder of Brazilian grain processing giant Fiagril; in 2017, State Grid made a similar move by acquiring CPFL Energia, one of Brazil’s leading electricity distributors; and in Jan­uary 2018, Didi Chuxing injected nearly $600 million into digital ride-hailing com­pany 99 Taxis. In Brazil, Chinese investors are focusing on long-term profit, with their appetite apparently unaffected by political and eco­nomic instability. Since 2014, for example, State Grid has invested in the construction of Belo Monte’s power transmission line; China Three Gorges won the concession to operate the Ilha Solteira and Jupiá hy­droelectric plants, later acquiring a further 10 hydro plants from Duke Energy; and China Communications Construction Company (CCCC) began construction of São Luis’ port. If 2017 and its $20.9 billion in Bra­zil-bound investments is anything to go by, Chinese investments are set to keep growing in Brazil. Over the coming years, the construction and transport sectors could become key areas for investment as Brazil heavily depends on highways for commercial transportation and conse­quently needs to expand its railway sys­tem to cut transport costs. It is worth not­ing that in 2017 Brazil and China launched a $20 billion fund to finance major railway and infrastructure projects. Brazil is additionally part of Mr. Jinping’s strategic plan – he included the country in the Belt and Road Initiative (BRI) which will involve $1 trillion in overall infra­structure investment. 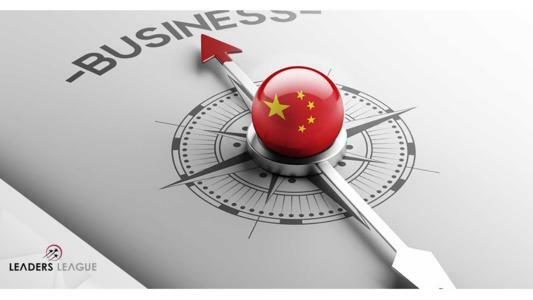 Law firms such as Machado, Meyer, Sendacz e Opice Ad­vogados and TozziniFreire Advogados have already created China Desks to surf the imminent wave of Chinese invest­ments. Brazil’s future, it seems, is drawn in Chinese colors.